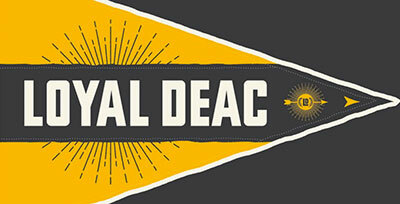 As PTO continues for me, we continue our Meet a Deac series to introduce you to some of the names and faces you might not know on campus. 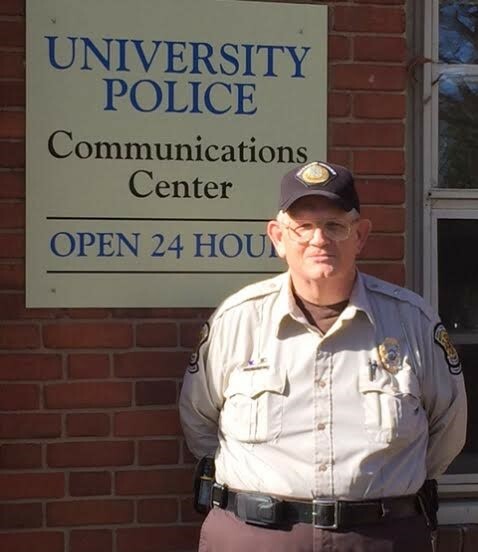 Today we meet Mark Young (’85) of University Police. Your official job title is Communications Officer. 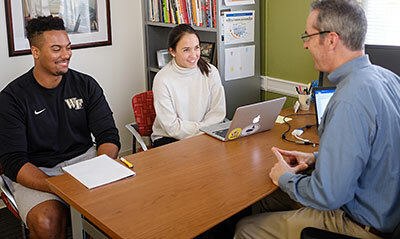 In laymen’s terms, what do you do at WFU? Our main responsibility is to take and dispatch calls for police service as well as calls requiring dispatching the EMS, fire department, student ERTs, facilities, or other agencies as needed. We operate the department’s two way radio consoles. In addition, we also monitor numerous alarms both on campus and from off campus locations. We also monitor and record the officers’ activities and their locations during the shift and record these by computer aided dispatch. We operate the division of criminal information computer system according to DCI policy, department policy and North Carolina law. We monitor the department’s live safe phone app and dispatch such assistance as these calls require. 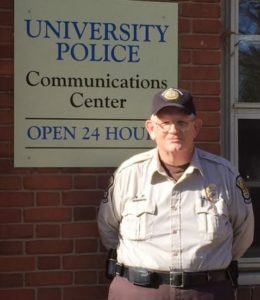 When necessary, we activate the university’s emergency alert systems such as MIR 3, Federal Commander, and Simplex systems to alert the campus of dangerous situations and conditions. We operate the P2P, RMS AND NCAWARE computerized records systems according to department policy. We also monitor the department’s plate smart system. We operate the university’s Lenel card reader system as needed and monitor alarms that come in on this system. After hours, we often answer calls for other university departments. We answer general assistance calls from the public such as people asking for directions, event locations or times, etc. I went to South Stokes High School and was in the Class of 1981, and then I came to Wake Forest for college. 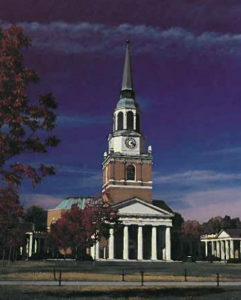 I am a member of the Wake Forest Class of 1985 and got my BA in history. 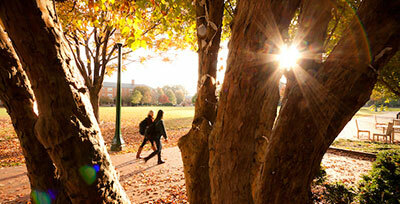 As an alumnus, what are some of your memories of campus from your student days? 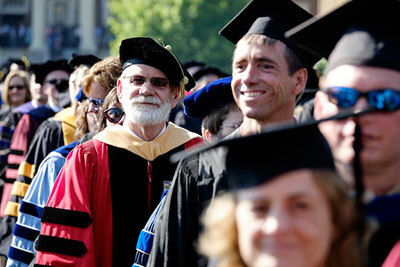 I think my favorite memories are centered around the late Dr. David l. Smiley and his Southern history class. He was a great friend as well as mentor and I feel blessed not only to have known him but to have had him as a professor and adviser. How would you characterize Wake Forest students? What are some common attributes they share? They are much more diverse and I think more friendly than they were when I was a student. I love the campus and even though it has grown a lot since my days as a student, I think it still maintains the small campus feel. Make the most of the opportunities you have as a student. What advice would you give to parents and families? Let your student experience college life and only step in when it is absolutely necessary. My favorite place on campus is the Quad (Hearn Plaza). Tell us a couple of things we don’t know about you – what kind of music do you listen to, favorite movies, etc. I mostly listen to the oldies. As for favorite movies, I have a lot – too many to tell!